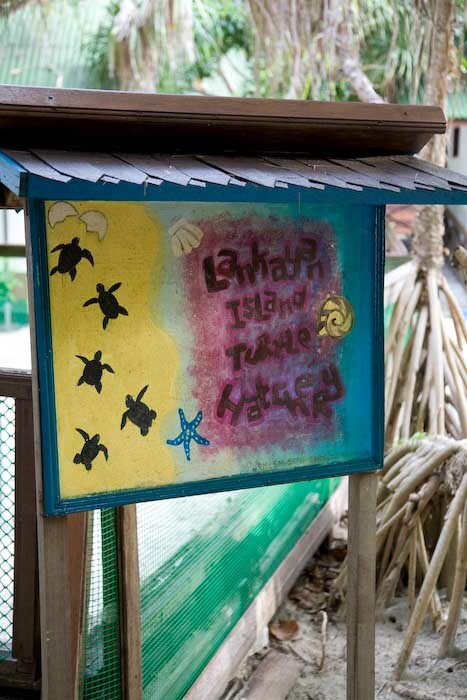 Lankayan Island is a small part of a 100,000 acre marine sanctuary. 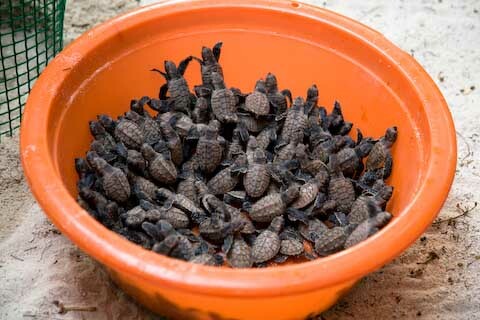 One of the most interesting sights on the island was the turtle hatchery. 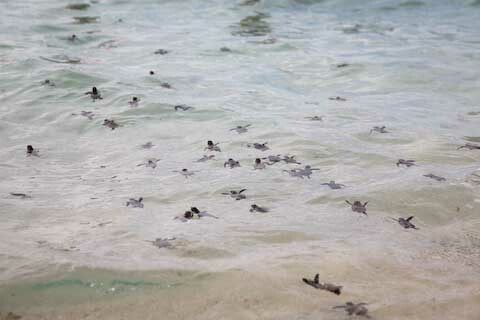 Here they took care of 100’s of eggs that were laid by nesting sea turtles. We were lucky enough to see two turtles nesting during our stay. 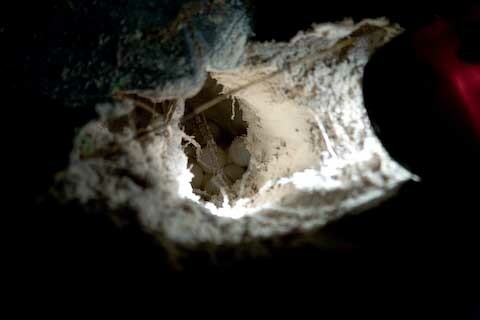 If a turtle was seen nesting it was lights out and everyone had to maintain silence so that the nesting turtle would not be scared and turn away. After finding a suitable spot for laying the eggs she would begin a several hour process of laying about 150 eggs. During that time guests were allowed to approach and take photographs and observe. After the nesting was complete and the mother returned to sea the eggs were collected and placed into a hatchery where they could be protected from predators. …and the race is on! Their instincts were amazing. Every single one raced for the water. After the incubation period the babies were collected and release back into the ocean where they’d spend the rest of their lives. 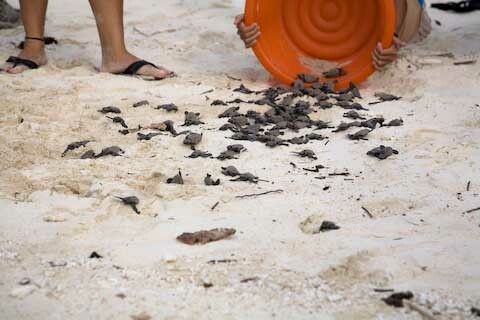 One of the most exciting parts of the turtle life cycle was seeing 114 (out of a batch of 140 eggs) baby turtles being released and dashing for the sea. 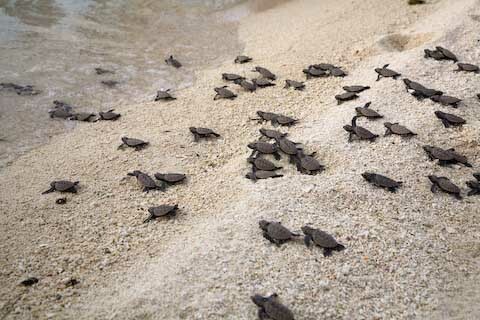 Seeing 114 little turtles dashing toward the sea and then watching all of their little heads bobbing up and down in the waves was sight I’ll never forget. This was quite a sight.